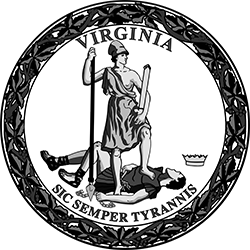 The Commonwealth of Virginia values transparency and provides online tools for the public to see what state government is spending and where those dollars go. VEDP is included in this effort to keep taxpayers informed. VEDP is one of several state entities providing economic development incentives to qualifying new or expanding businesses under programs created by the General Assembly. The reports listed below in searchable PDF format show companies and projects VEDP has approved for incentive grants and progress made in reaching target goals, where available. The reports indicate which projects are considered “within their performance period” (projects currently being implemented with future performance targets that do not yet apply) and those that are “post-performance” (projects that have reached their “performance date” where actual performance is compared to established targets). The reports also show which companies are still in the project implementation process, those that have reached their targets, those that did not, and information on extensions granted and repayments (known as “clawbacks”) required of and made by grant recipients. Note: With the exception of the Commonwealth’s Opportunity Fund, VEDP’s incentive grants are distributed in the post-performance period only after actual performance has been achieved and verified. Where possible, this information is also reported in aggregate for each incentive program VEDP administers. We hope this information will aid you in assessing the status and performance of VEDP’s incentive grant programs, as well as each project that has received an incentive grant through VEDP. For additional information on Virginia’s economic development incentive programs and projects, visit VirginiaIncentives.org.